Coming in at number 10 in our list of Best Under $15,000 luxury Cars is the 2010 BMW 3 Series. Current inventory meeting this criteria averages 84,090 miles. The 2010 3 Series achieves a combined MPG figure of 21. 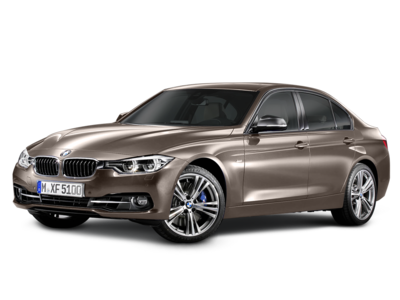 Scroll down to see available inventory for 2010 3 Series in your area. 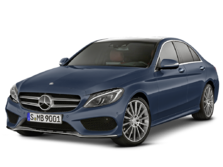 Ranking ninth for Best Under $15,000 luxury Cars is the 2010 Mercedes-Benz C-Class. Current inventory meeting this criteria averages 79,310 miles. Fuel economy is rated at 21 MPG combined. Take a look below to find the C-Class in your area that suits you best! Ranking eigth for Best Under $15,000 luxury Cars is the 2010 Cadillac CTS. 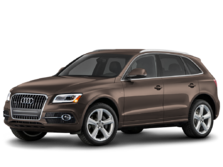 Current inventory meeting this criteria averages 79,054 miles. The 2010 CTS achieves a combined MPG figure of 21. Scroll down to see what's available in your area right now. Coming in at number 7 in our list of Best Under $15,000 luxury Cars is the 2012 INFINITI G. Current inventory meeting this criteria averages 65,823 miles. Fuel economy is rated at 21 MPG combined. Scroll down to see what's available in your area right now. The 2009 Lexus IS ranks sixth for Best Under $15,000 luxury Cars. Current inventory meeting this criteria averages 92,496 miles. Fuel economy is rated at 22 MPG combined. Scroll down to see what inventory is available in your area - hurry, before these great deals sell out! Ranking fifth for Best Under $15,000 luxury Cars is the 2010 Lexus ES. Current inventory meeting this criteria averages 79,249 miles. The 2010 ES achieves a combined MPG figure of 22. Scroll down to see what's available in your area right now. The 2010 Toyota Avalon ranks fourth for Best Under $15,000 luxury Cars. Current inventory meeting this criteria averages 91,227 miles. Fuel economy is rated at 23 MPG combined. 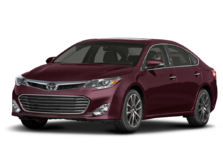 Take a look below to find the Avalon in your area that suits you best! Coming in at number 3 in our list of Best Under $15,000 luxury Cars is the 2010 Acura TSX. Current inventory meeting this criteria averages 87,185 miles. The 2010 TSX achieves a combined MPG figure of 23. Scroll down to see available inventory for 2010 TSXs in your area. Slotting in at second for Best Under $15,000 luxury Cars is the 2014 Volvo S60. Current inventory meeting this criteria averages 37,432 miles. Fuel economy is rated at 23 MPG combined. Scroll down to see what inventory is available in your area - hurry, before these great deals sell out! 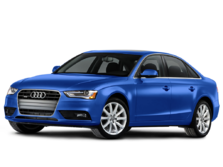 Coming in at number 1 in our list of Best Under $15,000 luxury Cars is the 2010 Audi A4. Current inventory meeting this criteria averages 83,510 miles. The 2010 A4 achieves a combined MPG figure of 25. Scroll down to see what's available in your area right now.